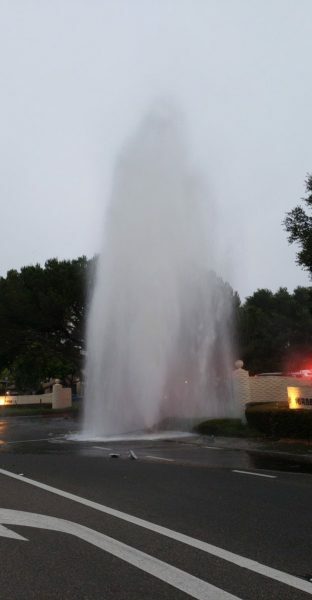 At about 6 a.m., he driver hit a fire hydrant on Los Osos Valley Road near Higuera Street. The collision caused water to gush into the air and onto the street. Officials temporarily closed Los Osos Valley Road west of Higuera Street, causing traffic to backup. The roadway has been reopened. KSBY reports the vehicle that hit the fire hydrant was a 1991 Toyota pickup truck. Police do not have a description of the driver.